Mr Birkett then goes on to say “Feeding cow’s milk can also lead to a deficit of trace elements with important consequences, for example an iron deficiency can lead to anaemia”. 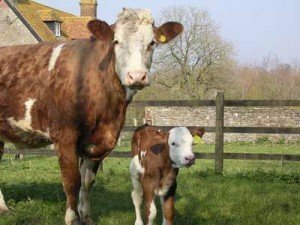 From this he concludes “The long term result is a failure to get the calf off to a good start and strengthens the argument for boosting initial colostrum support by giving a specific supplement on top of the cow’s maternal feed”. The opposite page in the magazine helpfully carries adverts for two products that can help to overcome the inadequacies in the mothering capabilities of your cows. A very interesting article but I’m pleased to say our cows have retained the capacity to nurture their calves at birth. By ensuring we breed robust cows fit for a purpose and running a pasture-based system, I am confident we can rely upon nature to deliver. 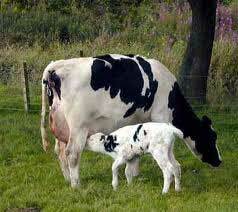 Free Range Dairy believes in sharing knowledge to provide long-term solutions rather than buying ‘quick fixes’.